Over a nine-month period, September through May, Leadership Richardson participants meet in all-day sessions, one Friday a month. There is also a half day orientation at the beginning and a half day closing at the end of the program year. Class sessions are a mixture of information, problem solving and interactive studies. In addition to honing leadership skills and learning about the Richardson community, Leadership Richardson fosters friendships and a network of other leaders that last a lifetime. Applicants to Leadership Richardson should live and/or work in Richardson or the RISD, although exceptions can be made. Participants are selected by an anonymous admissions committee, and submitting an application does not guarantee selection for the class. 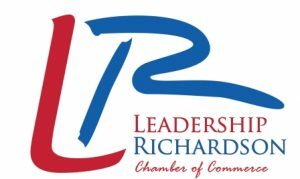 The tuition fee for Leadership Richardson is $1350 for Chamber member companies and participants from nonprofits and includes all associated expenses. Non-chamber members pay $1500. A limited amount of tuition assistance is also available for candidates with a financial need. For more information, e-mail Kim Quirk or call at 972.792.2809. 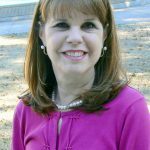 Leadership Richardson participants can expect to enhance personal and organizational leadership skills that are inherent in community trusteeship. The September retreat, October session and May closing session are devoted to leadership development. Participants are assigned to session planning committees that allow them to utilize the community leadership techniques. Participants have the opportunity to explore all aspects of the dynamics of the Richardson community. From November through May, the class studies seven different topics in sessions that are a mixture of information, problem solving and interaction. The topics include Arts, Business and Economic Development, Government, Health and Wellness, Public Education, Public Safety and Social Services. Leadership Richardson is a unique opportunity to develop friendships with people from all walks of life. After graduation, participants are eligible to join the Leadership Richardson Alumni Association. The Association provides graduates with a continuing opportunity to develop and renew business, civic, and cultural contacts throughout the community.